"Think of it as a sports car with enhanced practicalities." 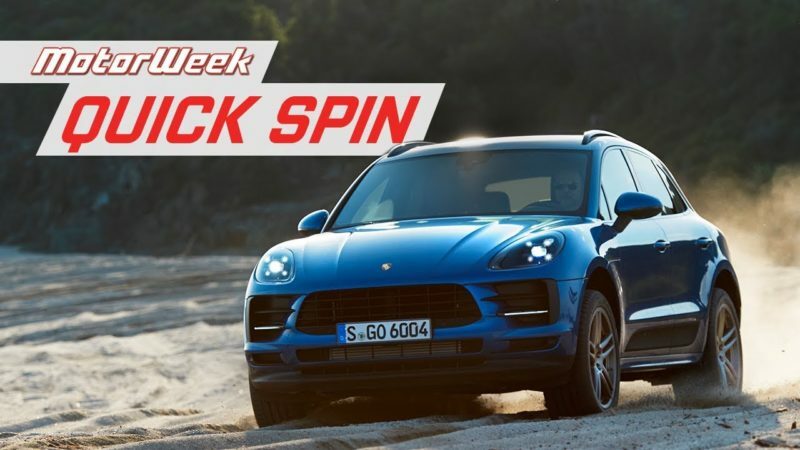 The svelte, agile, and compact Macan has been a hit since its start in 2014, and to freshen the SUV for 2019, Porsche sharpened the exterior, the powerplant, and even the interior. New visual tweaks include a a wider grille, revised LED headlamps, and a broad LED tailight strip give it an edge and a familial resemblance to the Panamera and Cayenne. Its roofline slopes downwards at the rear—known as the Porsche flyline. Though the engine and exterior have been sharpened, that doesn't mean a spartan interior. The touchscreen infotainment system has been fitted with a larger, 11" screen; wider, heavily bolstered seats, an a GT Sport steering wheel. With all these elements close together, and the racing-inspired ignition on the left, the sumptuous cockpit—if that's not an oxymoron—is focused yet comfortable. Part sports car, the Macan S benefits from a new engine in the case of the S model. Replacing the outgoing twin-turbo V6 is a single-turbo unit displacing 3.0 liters. By mounting the turbocharger in the valley of the 3.0-liter V6, runner lengths were reduced and turbo response improved. A new bump in power accompanies the improve response. Now, 348 horsepower and 354 lb-ft of torque driven through a PDK gearbox take the Macan S to 60 miles an hour in 5.1 seconds. Truly, it is one of the few SUVs on the market that can give children a more exhilarating experience than the soccer game it takes them to. No. It is a sporty SUV. Good enough to beat some poser spots car owners, but an SUV. Also the perfect DD for 911 owners: all Porsche all the time. Try driving one – it will most likely surprise you!